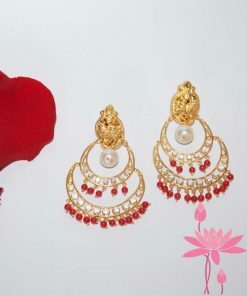 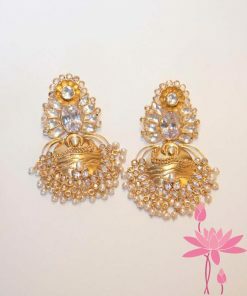 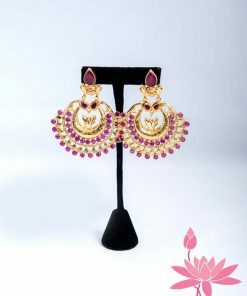 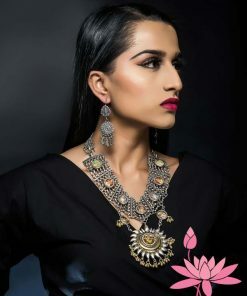 Indian Bridal Jewelry, 92.5 Silver Gold Plated Big Earrings with Kundan & Meena Work. 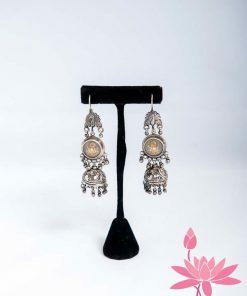 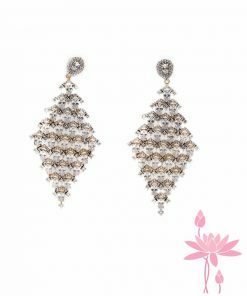 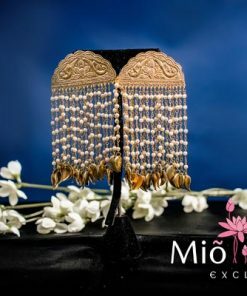 This beautiful Jhumka earrings are made with delicate mother of pearl stones. 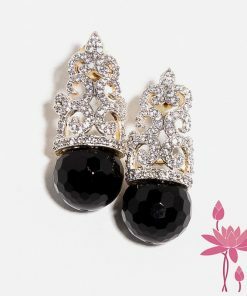 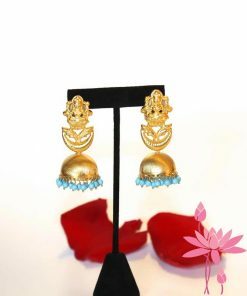 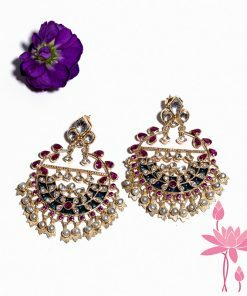 The 3 small jhumkis add to the delicate style.